ARP Thread Cleaning Chaser UNIVERSAL - MiataRoadster - Stay tuned with MiataRoadster! ARP’s handy thread cleaning chaser taps are designed with correct thread pitch and diameter to clean dirty blind or thru holes. Taps come in five USS sizes: 1/4˝, 5/16˝, 3/8˝, 7/16˝ and 1/2˝, as well as metric. They are sold individually or in sets. 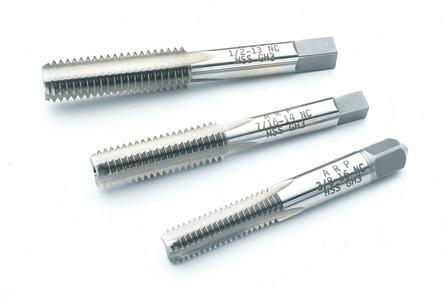 Please note that these are strictly cleaning taps and are not designed to cut thread. They are a handy addition to the tool box of any serious engine builder and an essential aid to preparing any block for final assembly. 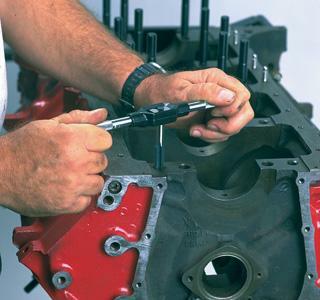 Don’t take a chance on weakening block and cylinder head threads. Use these handy thread cleaning chasers whenever possible!